Credit Controllers have one of the most challenging yet important roles in a business, and a good Credit Controller is hard to find. Recovering unpaid money from individuals or businesses is a job that requires a variety of different skills to succeed, many of which are hard to teach. Past experience in office work, customer service, or call centres can often work in your favour when applying and to succeed in credit control jobs, but many employers simply require you to have a good level of general education and the ability to demonstrate the skills below. From confidence to communication, here are the five most important skills you need to develop to become a brilliant Credit Controller. A good Credit Controller does more than just chase customers for payments. They have to be able to read conversations, judge whether people will stick to their promises, lend a sympathetic ear at times and lead conversations towards the correct conclusion. Obviously, excellent communication skills are a must. The best credit controllers are excellent negotiators and have the ability to strike a rapport with even the toughest of customers. The ability to speak to a variety of people in varying moods is one of the skills needed to succeed in credit control. Often people feel embarrassed or may go on the defensive when asked about their financial situation, so having confidence in your knowledge and skills is a must. The reality of a credit control job is that you will come across people who are upset and may act aggressive. You might be shouted at, questioned or accused of making a mistake. To combat this, you must remain calm, check everything thoroughly and trust your knowledge. Sometimes you may also have to deal with people who are in a genuinely hard situation and can’t afford to pay you. If you remain calm, authoritative and are able to show that you can come to a solution that works for both parties involved, you can really help people who thought they were in a situation they couldn’t get out of. Almost all credit controllers who are based in an office will use specific IT systems to record decisions, account for payments and access details. There may even be times when you will have to work across three or four different systems depending on what kind of customer you’re dealing with. Credit controllers are expected to use specialist databases to check credit records, set up and maintain customer files and input and export data. The ability to work across a whole range of computer systems is a required skill for credit controllers. As credit controllers deal with people’s finances on a day to day basis, an efficiency with numbers is essential. Asking customers about their accounts, answering queries, processing payments, explaining terms of credit and negotiating payment plans are all tasks that require strong numeric ability. Working in credit control is more than just collecting cash from late paying customers. Good credit control is all about building strong relationships with customers and creating a rapport based on trust and mutual respect. Having to navigate through difficult conversations, answering complex queries and assessing risk is all part of the day to day job of a credit controller. If someone is to succeed in the role they need to be authoritative, knowledgeable and calm. 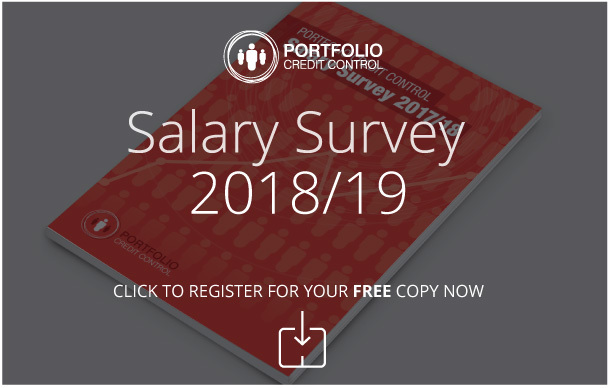 Once these skills are developed, there are a variety of rewards that a career in credit control can offer and plenty of chances for advancement. Search for vacancies with Portfolio and find careers guidance including interview basics and CV writing advice. What’s more, if you get in contact with us, one of our recruitment specialists will work closely with you to make sure you understand as much about the role as possible.